When shopping for phone or tablet consumers will have a variety of choices that would determine which brand which model they will choose. 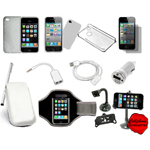 Things like price, size and brand are rifling through a customer's had with her shopping for their device. One of the larger deciding factors between choosing a specific phone or a specific tablets, is the device is operating system. 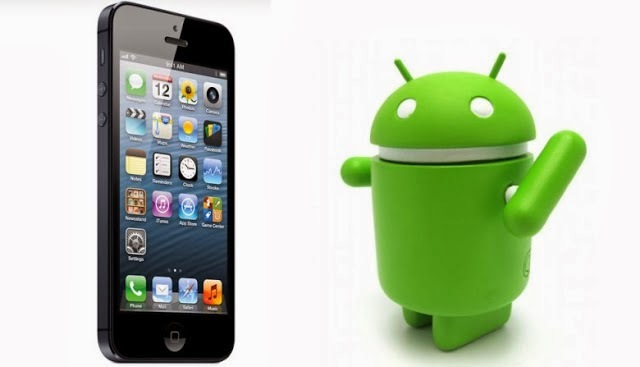 The two main sources in today's market place for mobile devices is between iOS and Android. What I'll try to do in this article is to outline the major differences between both of them and how each difference can be a strength and also a weakness. This wills hopefully your first time buyers a good overview of which operating system is best for them. Android is the chief operating system for variety of smartphones are manufacturers like Samsung and LG at HTC is owned by Google and its applications are mainly dealt with through the Google Play Store. IOS is the chief operating system for apples mobile devices which include the iPhone, the iPod Touch and the iPad and the recently-released iPad Mini. Its major app distribution framework is done through its App Store, the largest on the market. The Apple App Store is by far the largest on the market. Lion's share of apps are dedicated to iPhone what is the introduction of the iPad and 2010 has been a steady increase the fraction of apps available for the iPad. Well Apple has dominated in in the amount of apps, Android is steadily catching up. So much so that it is much more difficult to find an app on the App Store that doesn't have an equivalent for the same app on the Android store. Specific decisions for specific applications specific apps may be a deal breaker for some customers choosing between the two. Apple specific apps like Face Time and iMovie might be the reason why some customers choose the Apple ecosystem. It can be said that there are much more apps found in the Apple App Store that are not found in the Android App Store. Inversely, there are not many apps in the Android App Store that can't be found in the Apple App Store. One design element that is true for Android when compared to Apple is that Android follows a much more open operating system. What this means is that anything really goes in terms of how are user will go about using an Android app. Compare to Apple the user experience is much less unified across its App Store. Within the Apple ecosystem users will be navigating and using apps in a very similar way. Apple has designed it to be this way. Its curated App Store favors apps which fall into its larger design scheme, and while different apps may have very different applications, users familiar with the Apple app experience will have a easy time navigating through all of them. This is not a complete downside for Android. The open a nature of its operating system means that designers have a lot more freedom when designing apps dynamic features of applications can be implemented much more easily than apple's ecosystem. This is why widgets, which are reusable elements of a graphical user interface, for example having your weather appear on the home screen, became much more popular and widespread on the Android operating system before they made their way to Apple. One can argue that new breakthroughs on the mobile operating system platform will be much more likely to happen on Android as opposed to iOS due to its open nature. What's right for the average consumer? For average users the Apple learning curve is much lower compared to Android. Is this authors: humble opinion this is way too many things going on for Android for first time users to acclimatize to. Apples grid of applications is a simple way to navigate your apps and use a mobile device. 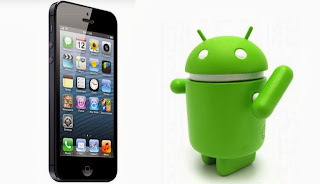 For users use to having at least one smartphone in the past Android is a very nice option because it has caught up to the Apple experience over the years. Users are freer to customize the user experience on Android and specific devices can be geared for user’s individual experience. Our site gives you the ideal way of converting online video and audio from YouTube to MP3. We always use best quality videos to produce best quality MP3. You may need download YouTube videos.